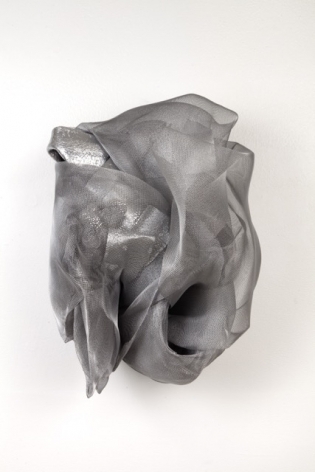 JONATHAN FERRARA GALLERY is pleased to announce Wrapped, a sculpture series by Sidonie Villere. Wrapped will be on exhibit in the middle gallery from March 10- April 9, 2011 with an opening reception on Saturday, March 12th from 6-9pm. 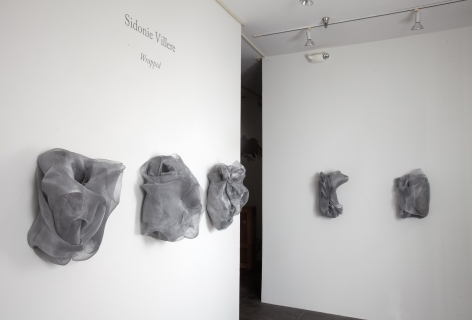 Sidonie Villere, an artist whose mixed-media sculpture has been described in terms of it’s ‘striking sophistication, most often uses a neutral color palette and deceptively simple, organic forms to invoke a complex emotional atmosphere. 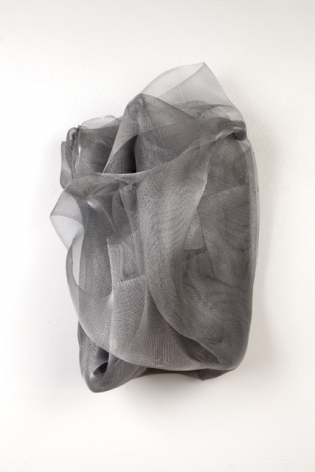 With this new series, Villere has constructed a series of structures using metal and plastic screen mesh, plastic, string, canvas, muslin, tar paper, wire and wax. 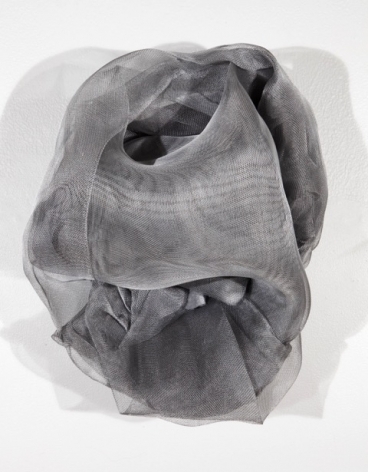 Simultaneously tansparent and opaque, the forms play with contrasting elements of softness and strength. With this series of self-portraits my focus has been on revealing the paradoxes that we face in our everyday lives. I have been emotionally investigating how to physically reconcile the vulnerabilities and strengths that these paradoxes cause. 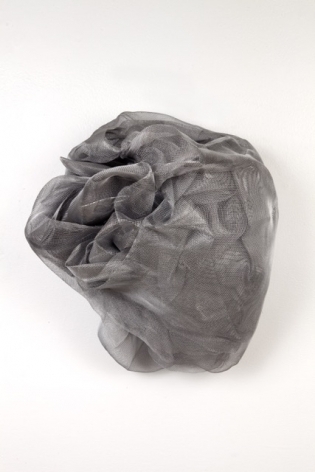 Each individual form is made up of canvas, muslin, tarpaper, string, plastic, metal-screen mesh and spray paint; which when tied together create a transparent, organic form. 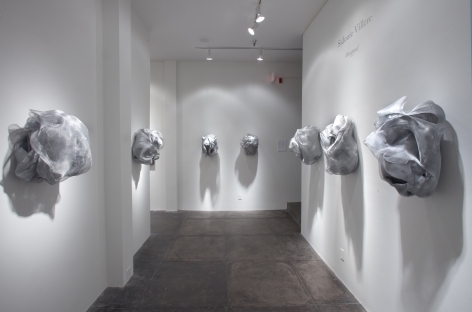 All are finished with a monochromatic, armor like surface of bright silver. Once pulled together, the protective surface, the vulnerable form, the structure from the orientation and the cohesiveness of the repetition all persist in reflecting the ongoing dichotomy of protection and exposure. 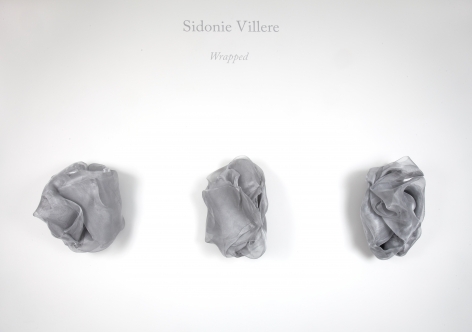 Sidonie Villere has a BFA in Ceramics from The Newcomb School of Art at Tulane University and an MFA in Ceramics from The University of Massachusetts, Dartmouth. 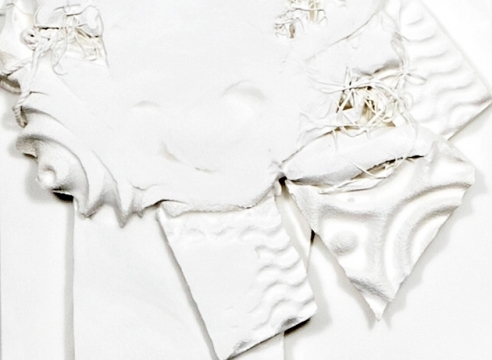 As an artist her work has been exhibited across the United States and is in the permanent collection of several museum including The New Orleans Museum of Art, The Ogden Museum of Southern Art and Saks Fifth Avenue Department Stores in New York, Boston, Phoenix, San Francisco and Beverly Hills. 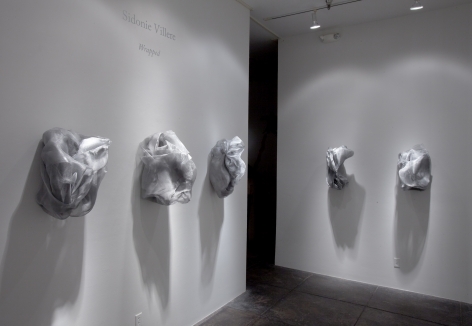 Villere is a multi-faceted artist using self-preservation and its contradictions as a common theme in her work. 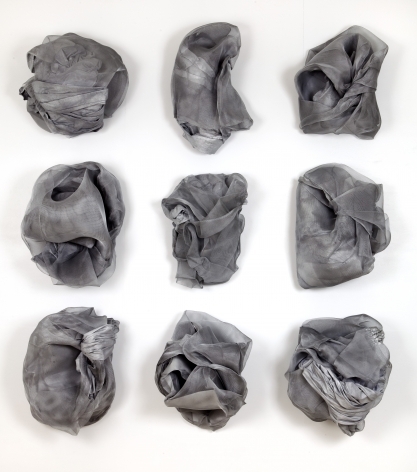 As a sculptor, her ceramic works often use geology to shape metaphorical self-portraits. 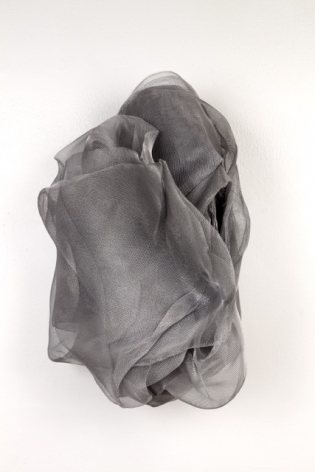 As a painter, her ethereal works use multiple mediums to achieve layering and subtle depth that produce a painterly effect but maintain a sculptural aesthetic.